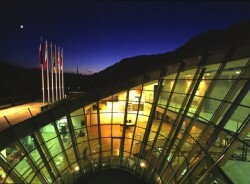 European Forum Alpbach: In mid-September, the EU Commission will present its plans regarding the bank union. The bank union should not be implemented too fast, the Austrian Financial Market Authority says. In order to continue “the stabilization of the euro”, the EU-Commission wants a bank union. This bank union should contain a bank liquidation funds, a bank supervision authority and a deposit protection funds. This article includes a total of 444 words.